Guys. Before I say anything else, she SPOILED me. Seriously. 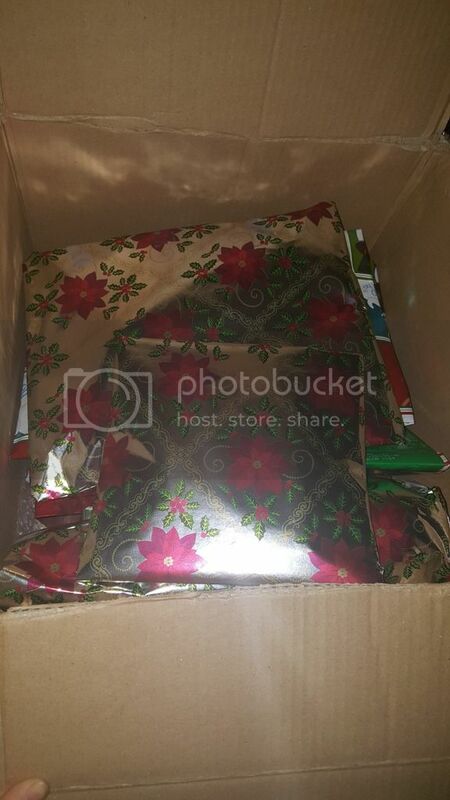 Shortyboo is absolutely amazing! 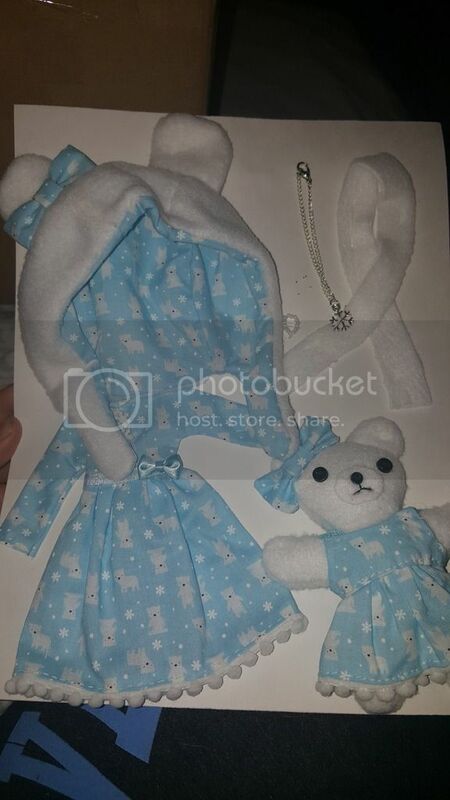 This one is to die for..she made a little doll sized build a bear! 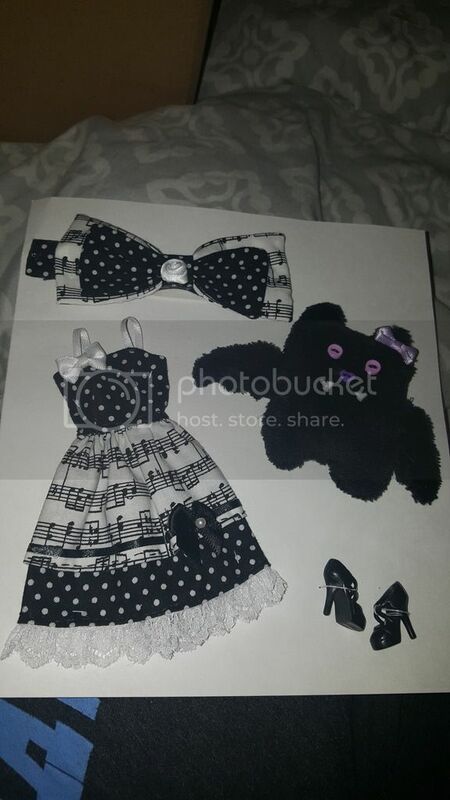 I love that the dress is meant to come odf, and that it matches the outfit for the doll. And the hat! This is just the cutest outfit. 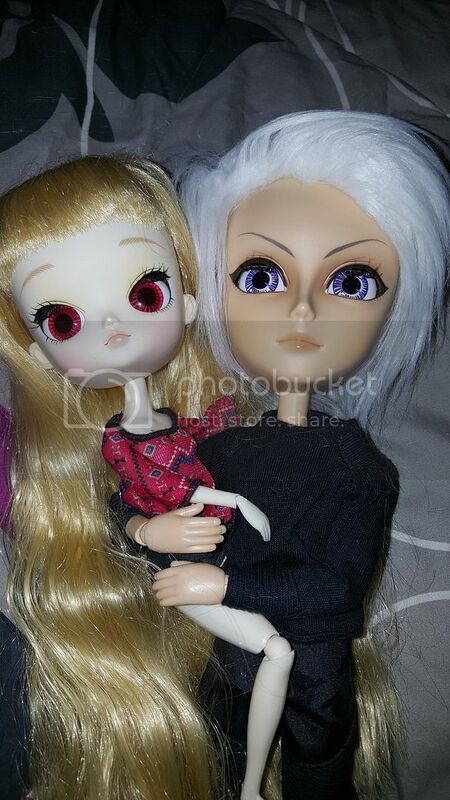 These two are super adorable as well, I love the little hair bows! 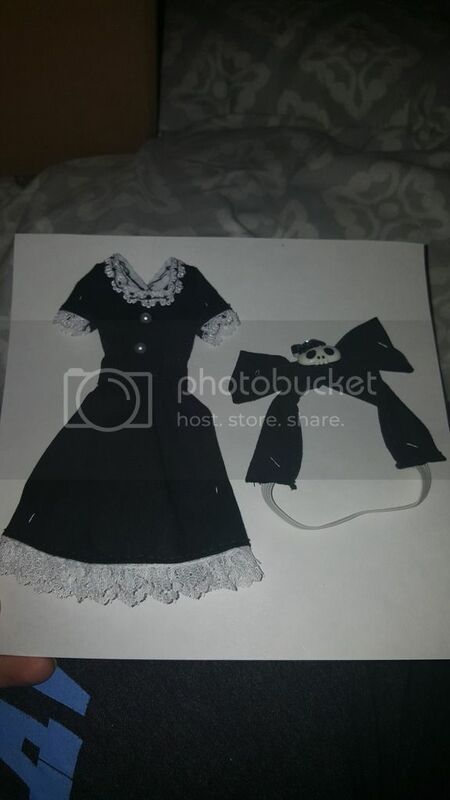 And the fabric and bow details are so cute. So the top are little pop up stickers, so cool! I didn't know these existed..lol. 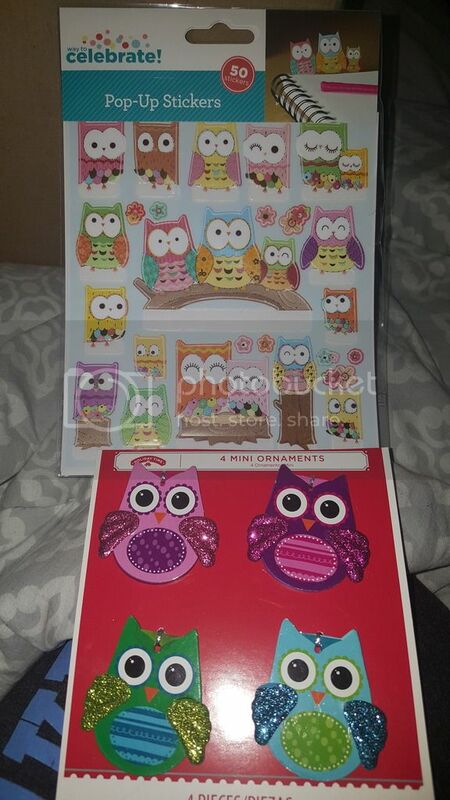 and then little owl ornaments, I'm already thinking of things I could do with them. !! So cute! I love the mixed patterns, and the bat is the most adorable thing! 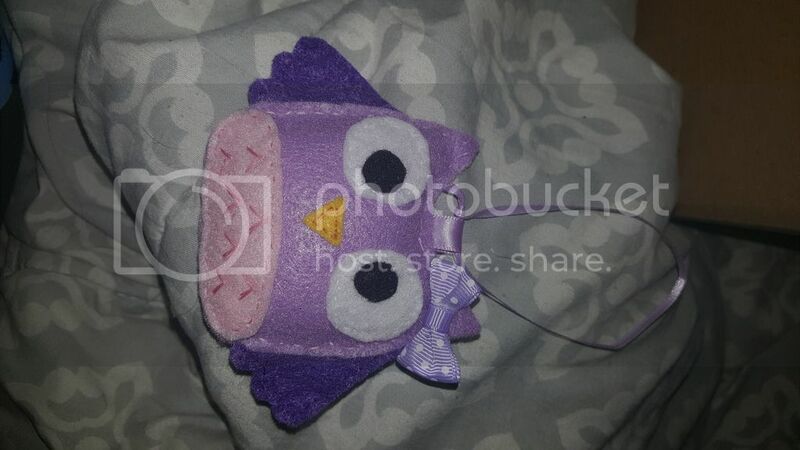 So, if you haven't figured it out yet, I kind of have an owl obsession..lol..too cute! 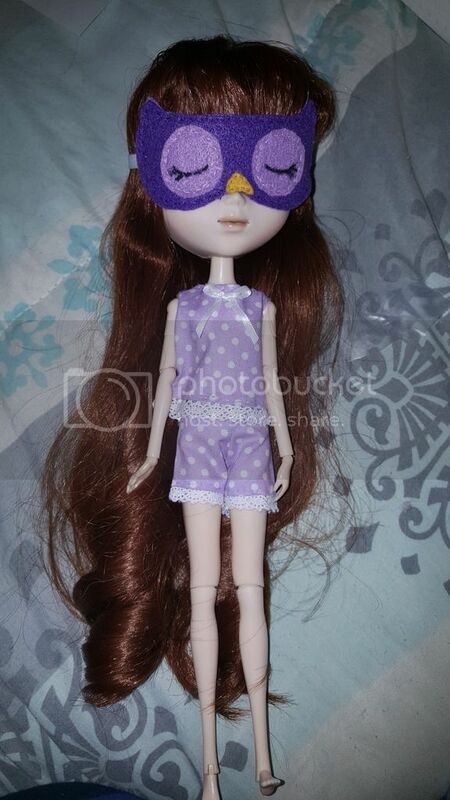 The pajamas themselves are adorable, but then this little sleep mask? Above and beyond:) the other outfit is so cute too. Again, the details! I love the little thing down the center with the gold buttons. Look at that hat! I had actually just recently been talking to somebody about making a hat just like this. And purple is my favorite color, so everything in this photo is just perfect. And the flower headband is so pretty! 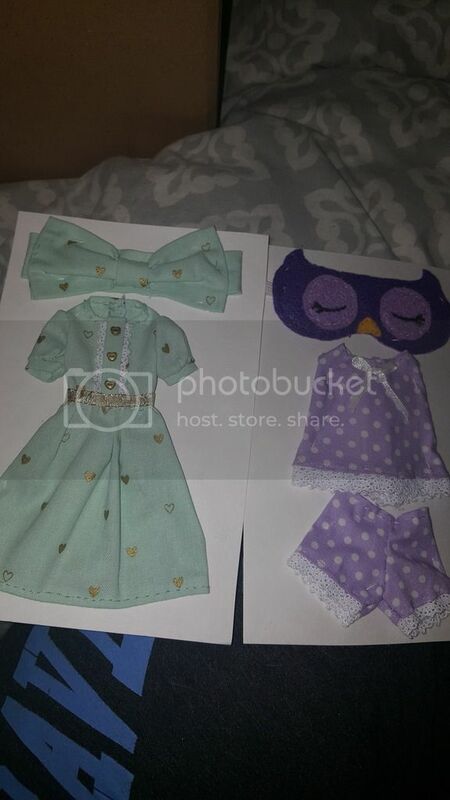 More cute clothes! 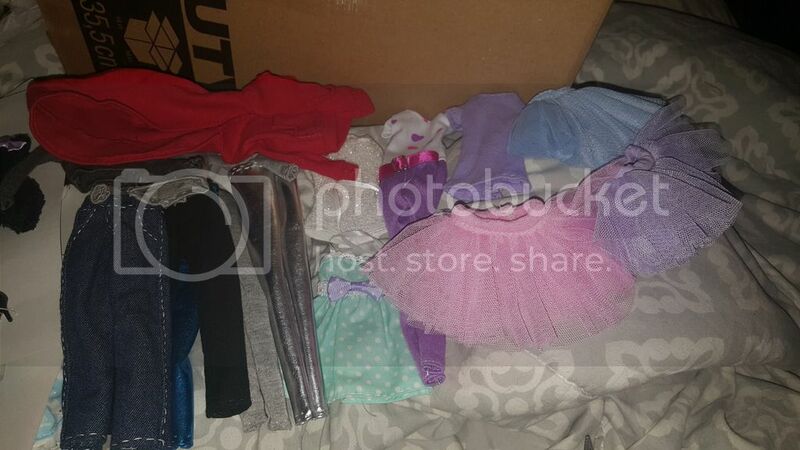 I love the red hoodie that shortyboo made for my isuls..and the tutus! 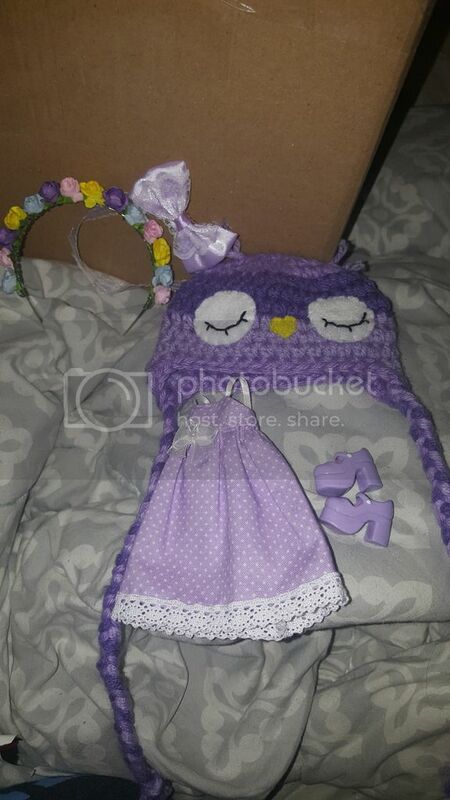 I believe she said they were purchased from an etsy shop but I dont remember where..very cute though! 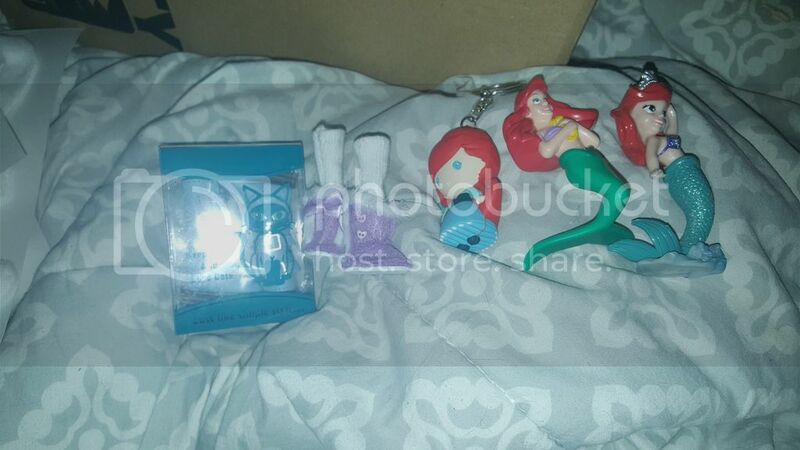 I love the little mermaid, so all of the little figures are great! I especially love little toddler diva ariel. And the little purple boots? Shortyboo made them! The star of this photo? The beanbag chair! Again, shortyboo made this! The eyechips are also gorgeous, and while I had never tried eos lip balm before, I am already obsessed with this coconut milk one! And last but not least, I set this one to the side while I opened because I had a general idea of what it was. 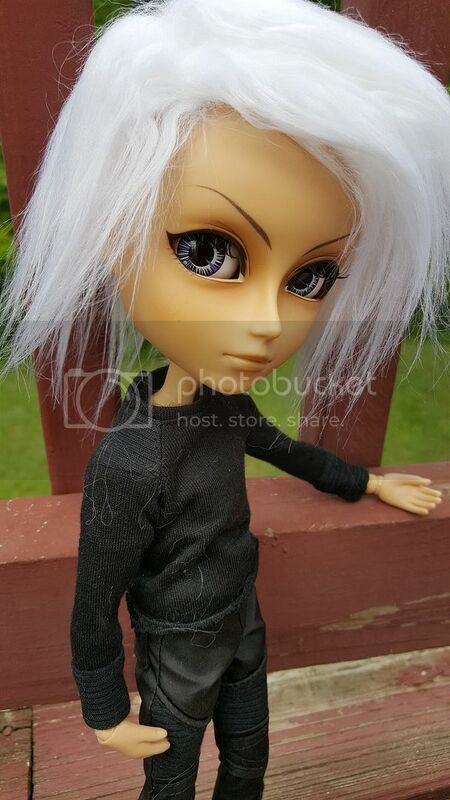 She had mentioned.making a custom doll, so I assumed this would be it. Look at her! 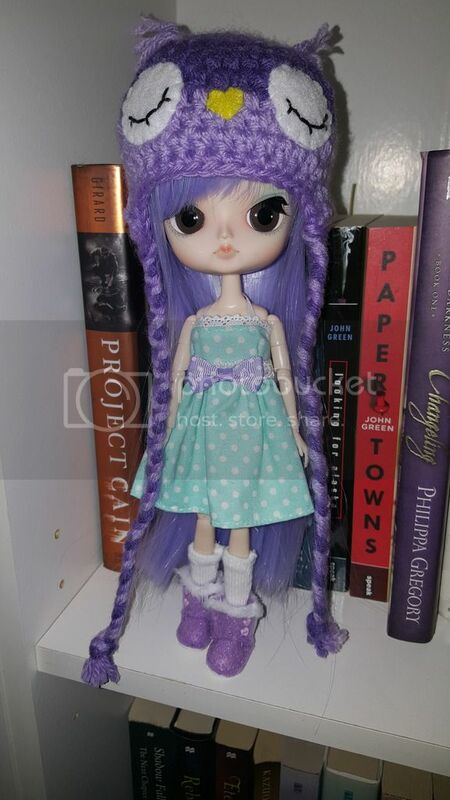 It's dal charlotte, with her sparkly purples eyes..a coolcat wig..shortyboo made the adorable outfit. She is just too perfect!! 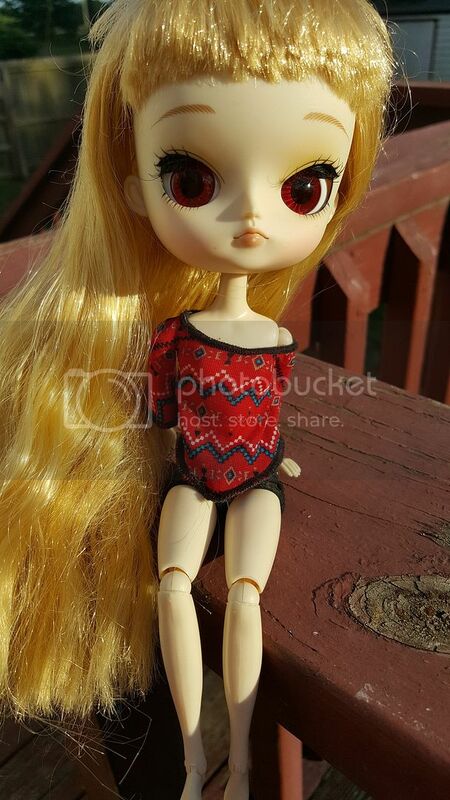 Hey guys:) So I'm selling a lot of different stuff, but mostly pullip stuff. 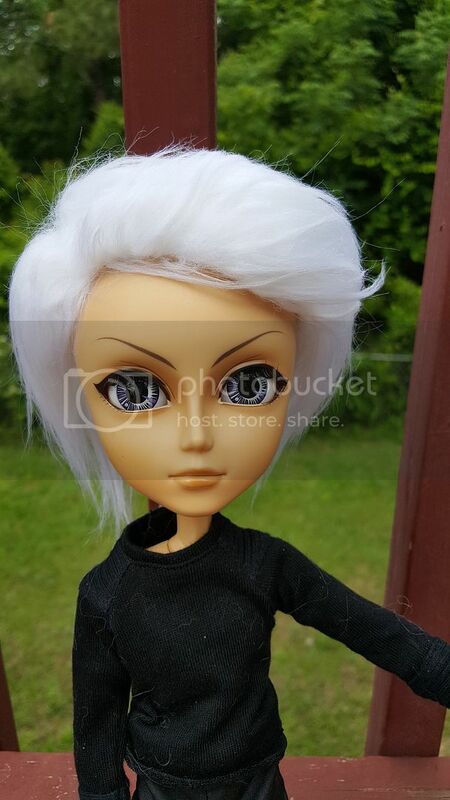 I may be interested in trades, but only in the form of Pullip dolls/items or blythe items (clothing, wigs, shoes, eyechips). 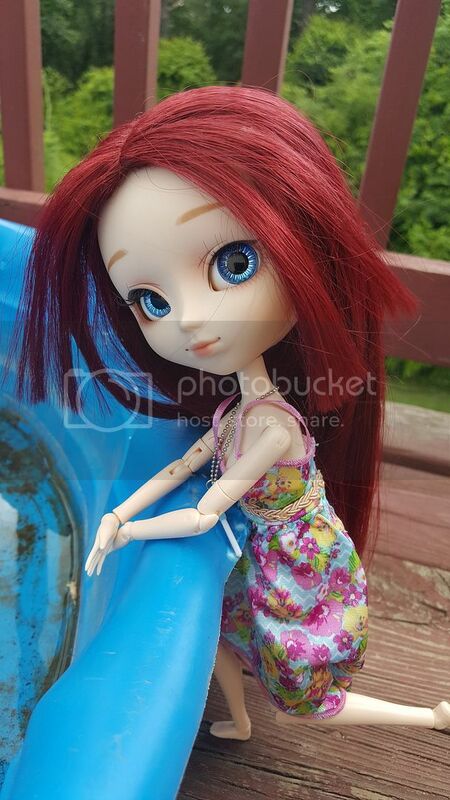 Also looking for pure neemo bodies for my blythes. From a smoke free home, but I do have cats and dogs. At the time I am shipping within the U.S. only. I have an almost crippling anxiety about doing things I've never done before, and I've never shipped internationally. If someone from the U.S. would be able to walk me through what I need to do, I may be able to ship internationally, but until then I cannot. None of the prices include shipping. 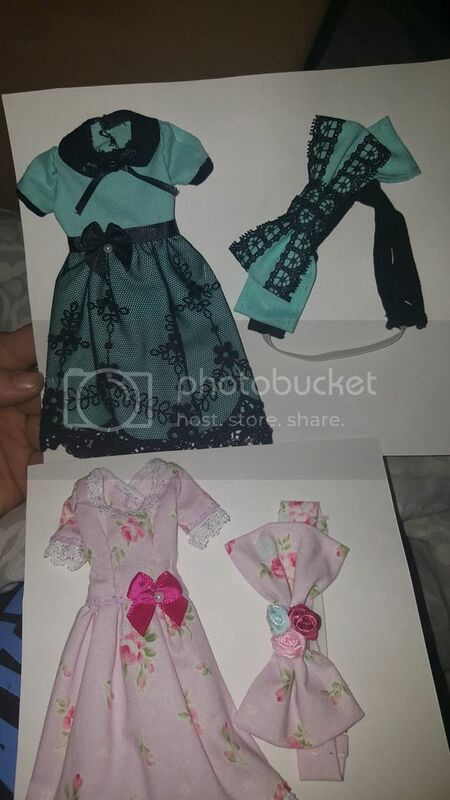 Body swap dolls $5 each. 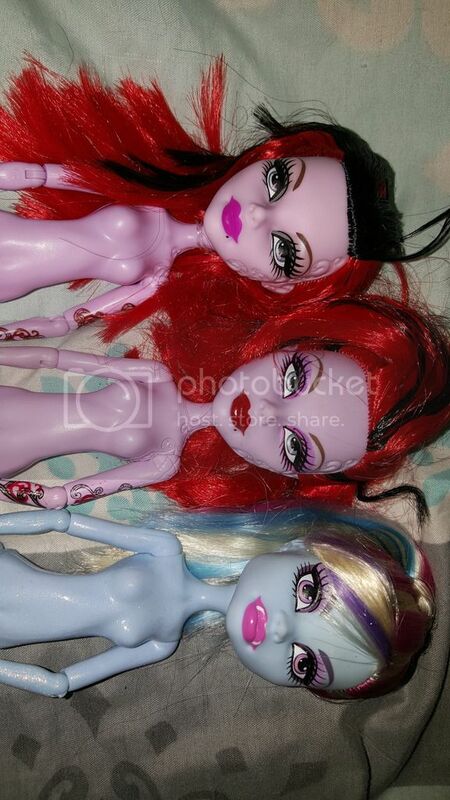 little one is a cleo head on a howleen body. 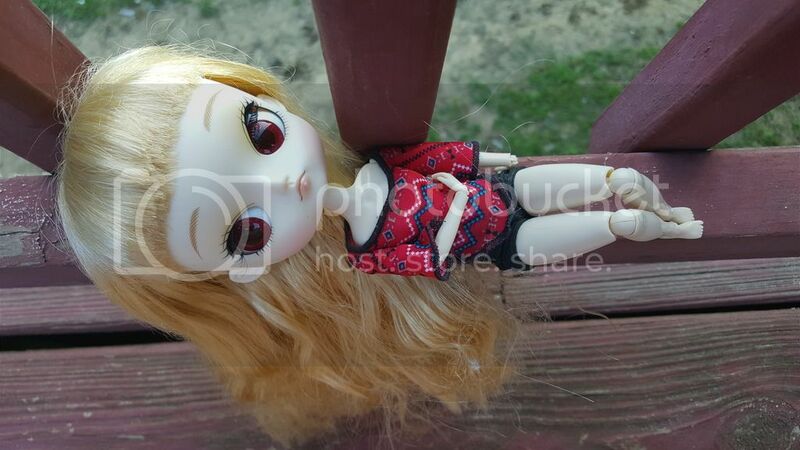 Her head seems to be loose now for some reason though, and tilts up. 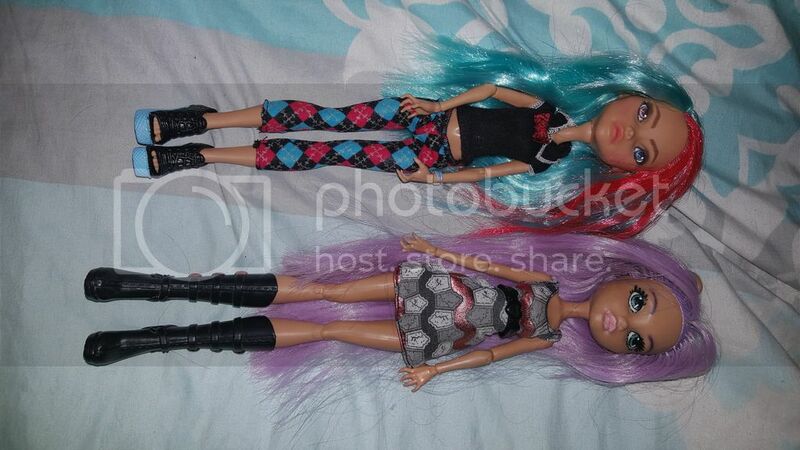 The other is the opposite, a Howleen head on Cleo's body, with clawed hands. 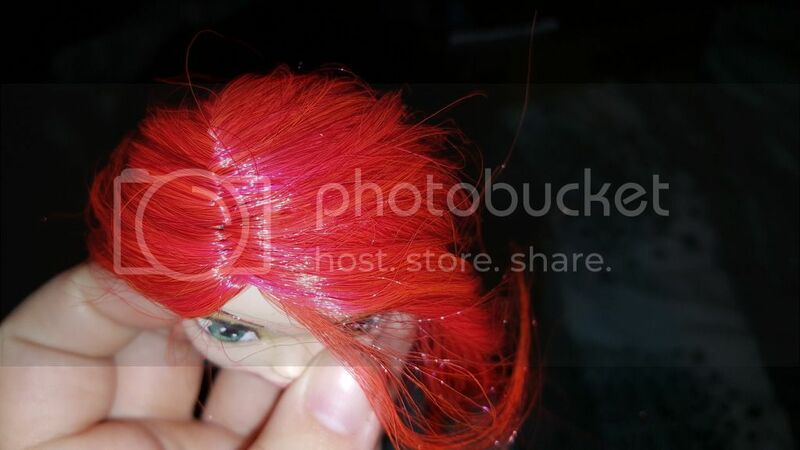 I didn't finish this reroot, but have the extra hair if you want it. 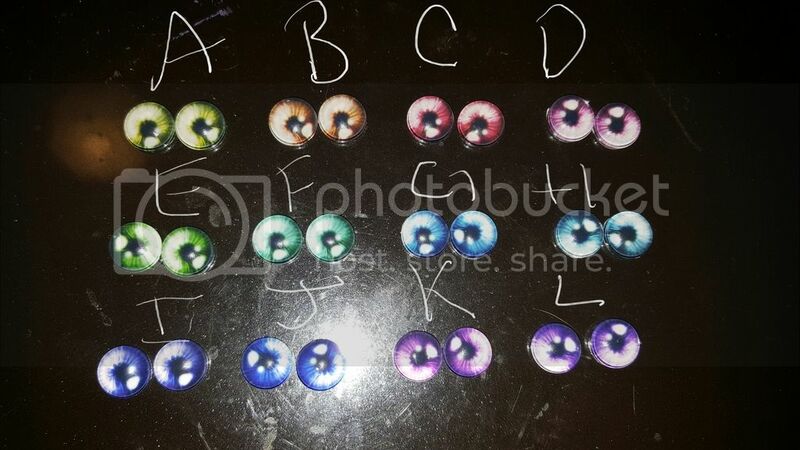 12 mm eyechips. 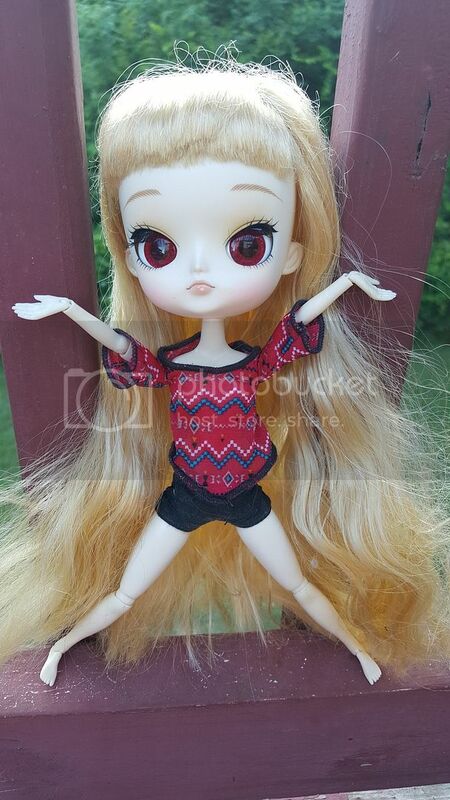 will be a bit small on type 4 pullips, but will work nonetheless. 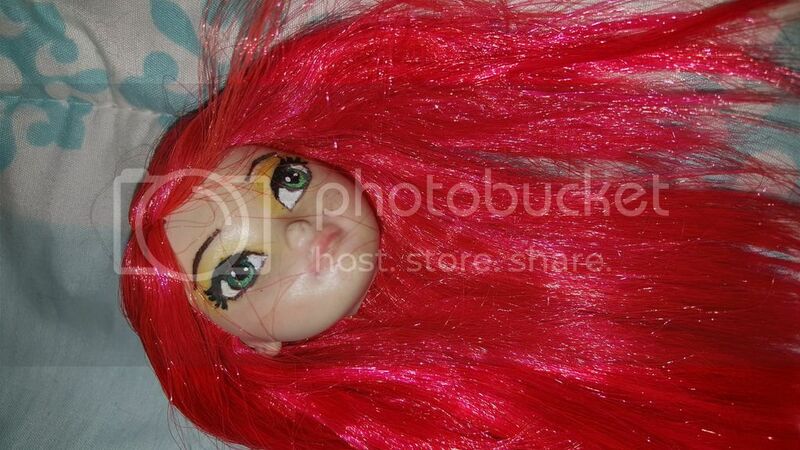 The shine marks are ON the eyes and not from the camera. $1 per pair or take them all for $8. Thanks guys:) I went to Burlington (we actually just got one in our area..the grand opening was just a few days ago!) and I found a bunch of good stuff. 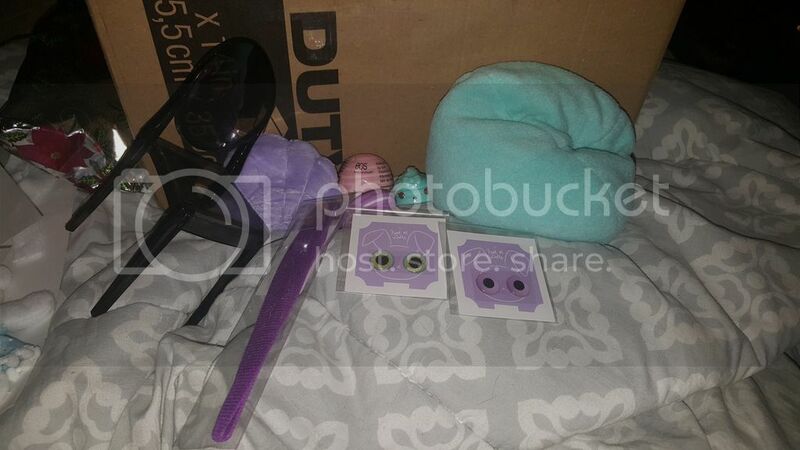 I also went to five below and found a few items. I have been toying with the idea of picking up a bunch of their 1.99 shopkins, but I want to give like 10 individual shopkins to each kid if I do it, but I want to put it in something better than just individual blind packages. I'd prefer some kind of cute case to put them in. 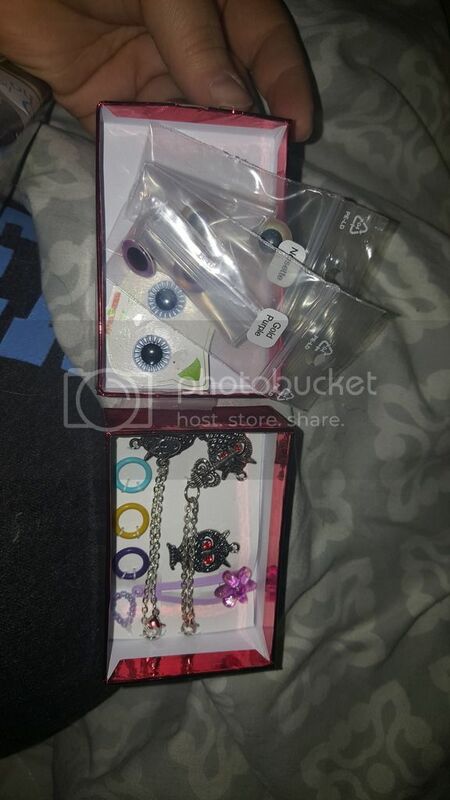 I also have a bunch of my own shopkins that I've been trying to sell, but haven't been able to yet, that I thought about doing the same thing with, but again, I don't know what I would put them into. Any ideas? I've been watching amazon quite a bit, picking up some of the under $10 mh and eah. 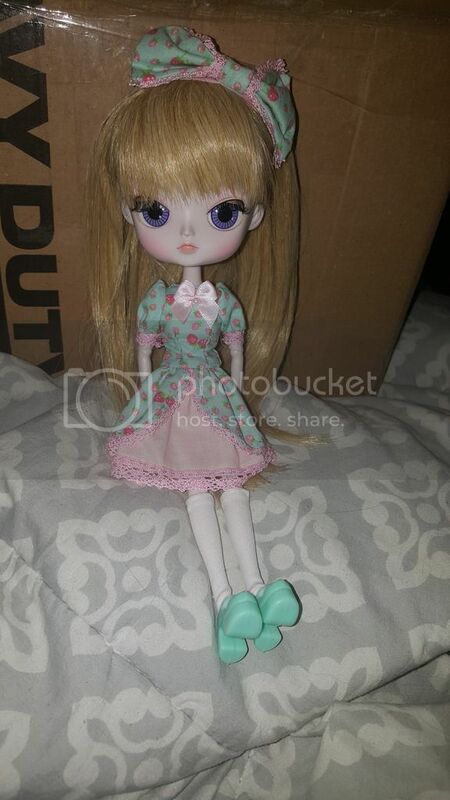 I also bought a few full sized lalaloopsy dolls from the app Mercari. They aren't NIB, but they look new. 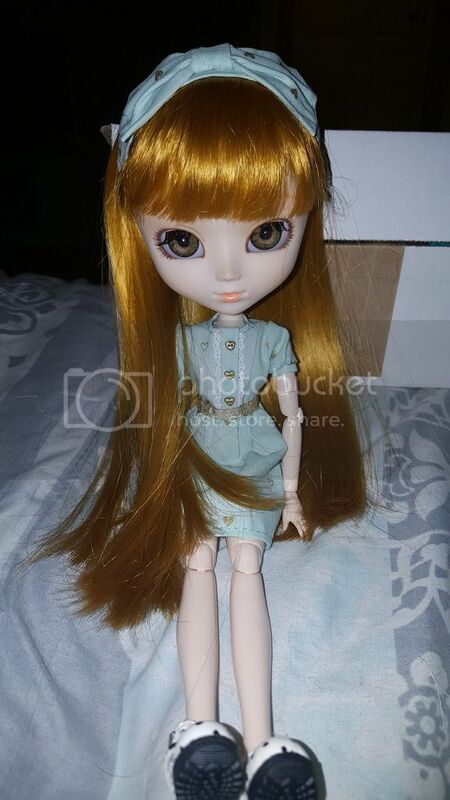 I'd still prefer NIB, but I really wanted to get a few full lalaloopsy dolls but not spend more than about $10 per item. Walmart/Target/TRU clearances are great places to find in box toys. Ross and Marshalls are good too. I'm not sure about TJ Maxx, which is part of the same...something as Marhalls and Ross. Never been to one. Burlington Coat Factory can have some good stuff, and a major hit/miss would be thrift stores. Sometimes you can find NIB, but prices vary. Family Dollar and Dollar General sometimes have good deals and sometimes don't. But could be worth checking out. Would you accept help from someone buying and sending to you? 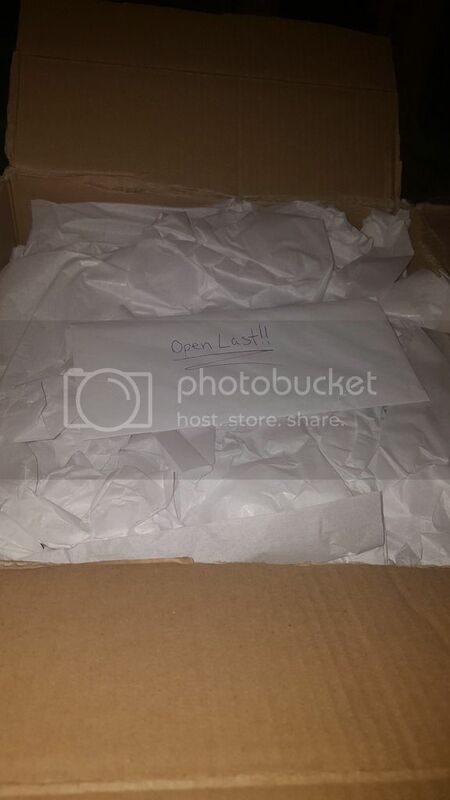 I don't know what your store situation is, but I wouldn't mind buying stuff and mailing it to you. This is an amazing idea! And I am more than happy to accept help! The more the merrier! I think this is a womderful idea. Have you checked Target? There was some mega-clearance going on about a month ago there when they reset the toy section. It's probably too late at a lot of stores; I know the two near me have donated/gotten rid of everything they had on clearance, but I think they all reset at a different pace so you might get lucky and find something. Walmart is resetting toys right now too, I think. 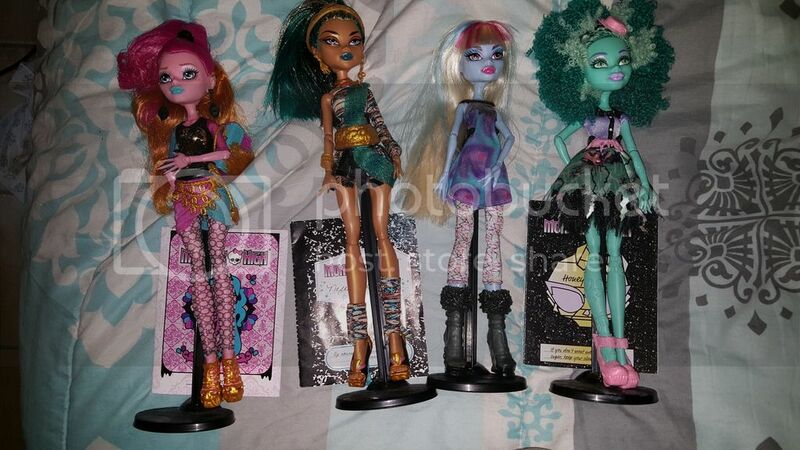 Mine is, at least; they had EAH two-packs and some MH dolls for $7 and $4 each the other day. I have been watching Walmart quite closely..I do need to go check target. Half of the time I forget it exists..but I will definitely go check! Tuesday perhaps. but my basic question is, where can I find new in box discount toys? I visit Tuesday morning and ross often, but where else might I find good deals on toys that may not have just come out, but toys that are still somewhat desirable? Alrighty, so the wig is crazy messy..and feels kind of..dirty. Her face has marks on it, the it's kind of hard for me to photograph, but it's dirty..and then there are these two thin yellow lines..I haven't tried to clean her face yet. I wanted to wait until I decided what I wanted to do. It also looks like they put some lipgloss or something on her? The insides of her lips are dark pink..and sticking my finger in there a little took some of it off. 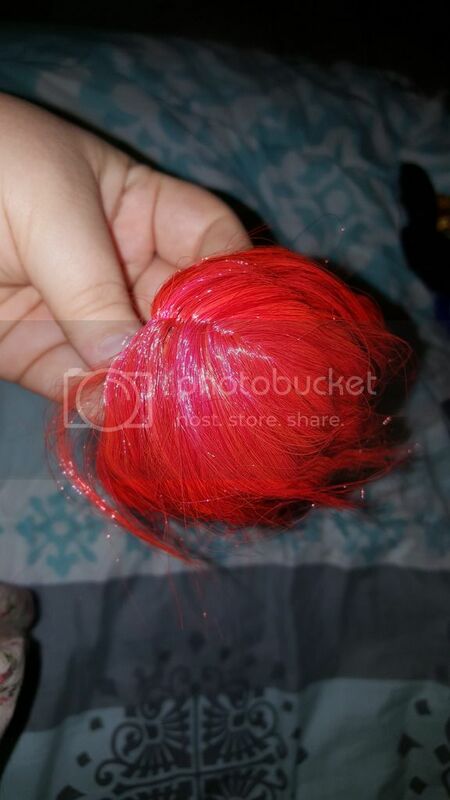 Her hair is not in the style it came in. And lastly, while I'm not really sure about what it originally was, the flower that goes on her hair is not attached to the clip, and I doubt it came like that. The shoes, while they sort of fit, are gold, too long, and have designs on them that I don't see on Hino's..they also aren't quite the same style. This is the link, so you guys can see what I saw when buying..maybe that might help too? 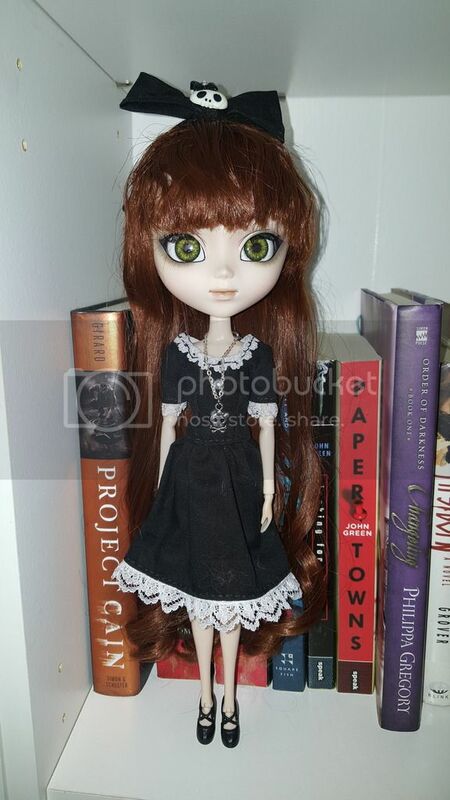 I recently purchased a pullip Hino doll from ebay for $71 shipped. 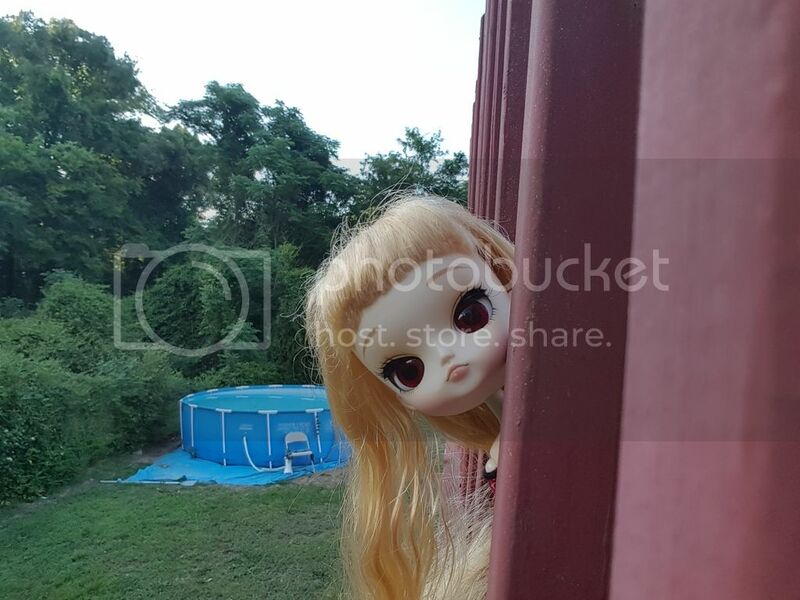 The seller marked under condition 'used' but then under seller notes it says 'perfect condition, never played with' looking at the photos now, I can kind of see the problems with the doll that I now notice..but the guy said perfect condition..what do you guys think? I'm annoyed..and unsure what to do..I mean it's kind of my fault for not paying close enough attention to the pics..but..idk. 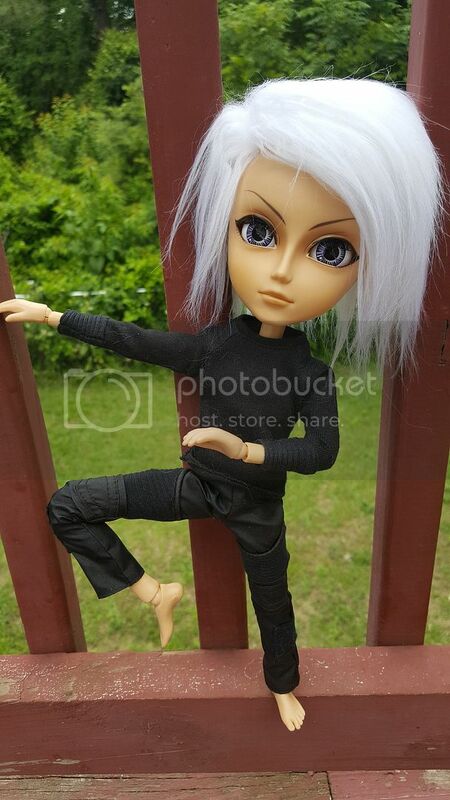 I also asked the seller if she came with her shoes, because in the photo she is shoeless..they said yeah..but the shoes I received are not Hino's shoes. I do have photos if that would help. 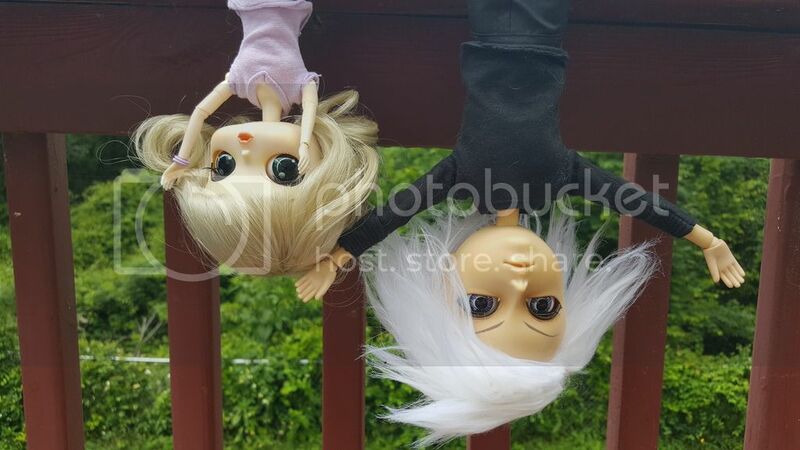 I didn't think I'd want to collect these..but I picked up one today just to check it out..and I got the original ghouls catrine..and these things are just too cute. 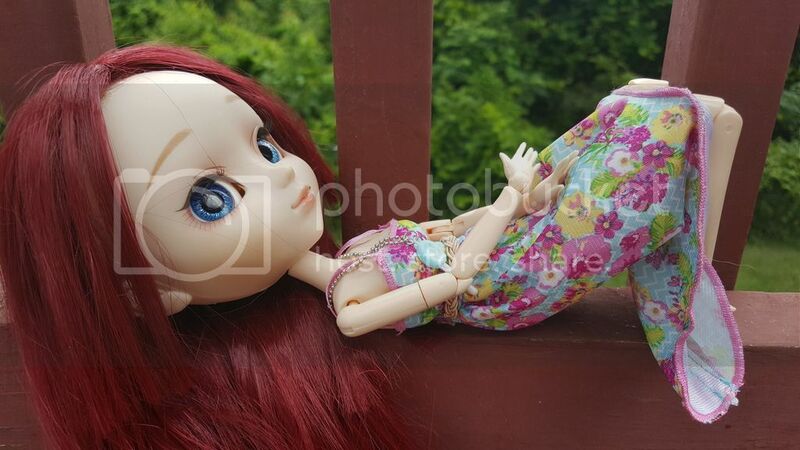 Took some more:) Yona doesn't have a permanent wig on yet, this one is just Seiran's with a bit of tape on the inside keeping it on..so she was a bit harder to photograph, and therefore she didn't get the full photoshoot she deserves..lol. So pretty! 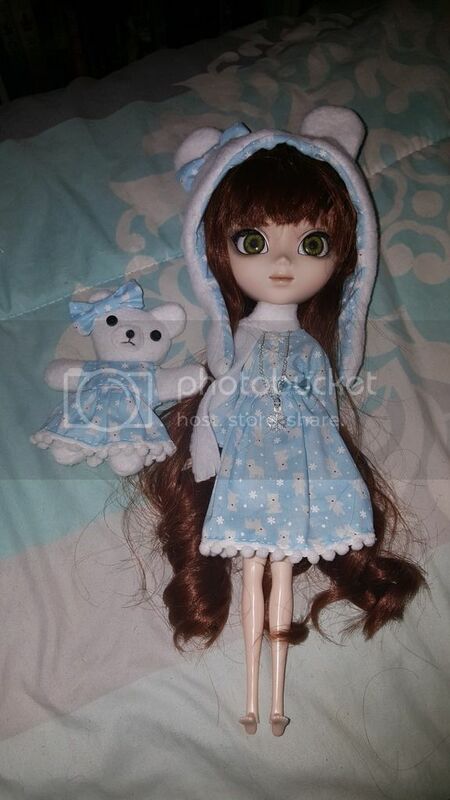 I think I'm going to attempt to make a sari for my katoya that is coming in the mail. I don't think it should be too difficult..hopefully..lol. I love how nice and neat your sewing is! Thanks:) I feel like Ziah has a very 'look at me!' personality..lol I can't wait to take more pictures! 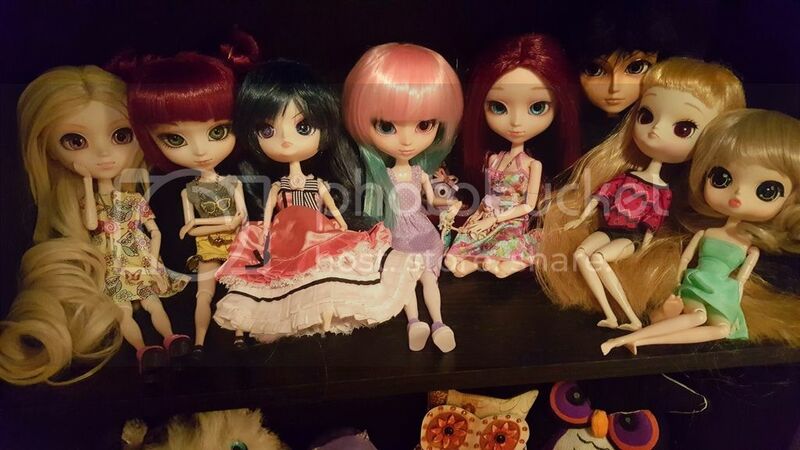 From left to right: Leah (Sfoglia), Luna (lunatic queen), Kuroflipsuji, Akemi, Yona, Seiran, Ziah (Dotori), and Skye (Eris). This is Ziah (Dal Dotori) I wasn't expecting to like her much as she was because of her high bangs and eyebrows, but she's actually adorable. 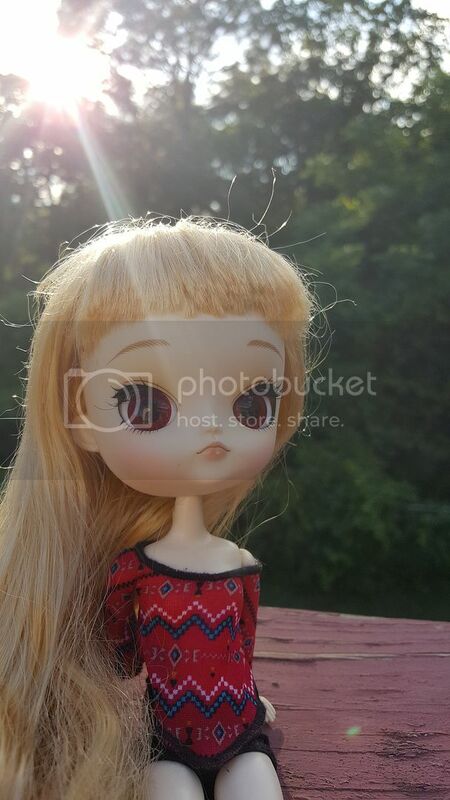 Unfortunately she has a small scratch on her cheek with some coloring around it that I need to get off, and her lips have a scratch on them as well, so I might just redo her entire face as my first faceup:) I cut the bottom of her hair since taking these pictures because the bottom was very frizzy and unmanageable. 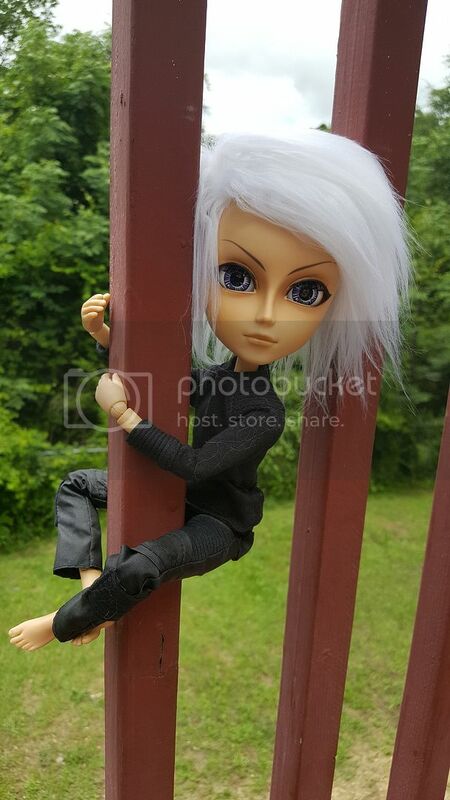 And than I have my Taeyang, Seiran, who doesn't have his new name yet..I'm thinking Cyrus. 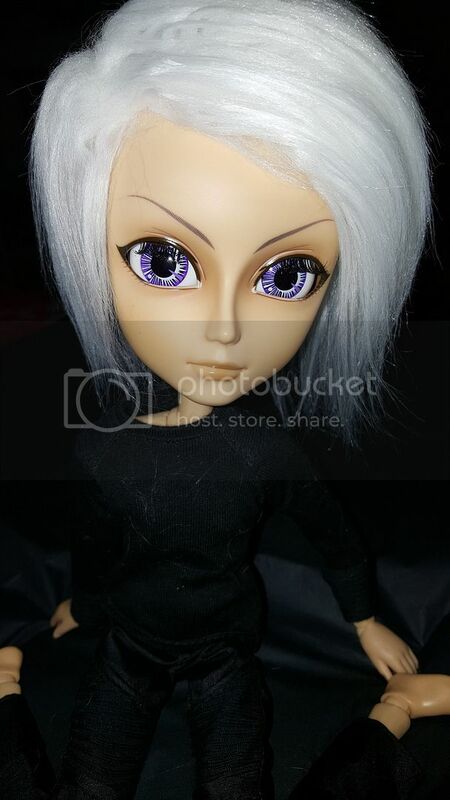 In the group photo he has a black faux fur wig, but I just got his white faux fur wig in the mail yesterday, and I LOVE it..I wanted to sell Seiran until I put that wig on him. Now he just needs new clothes, and perhaps new eyes. Sales / Re: Lari's Sales: Updated 4/16 Added more! Bump! Will be responding to recent inquiries shortly! Off Topic / Re: Happy Birthday desiree.lari! 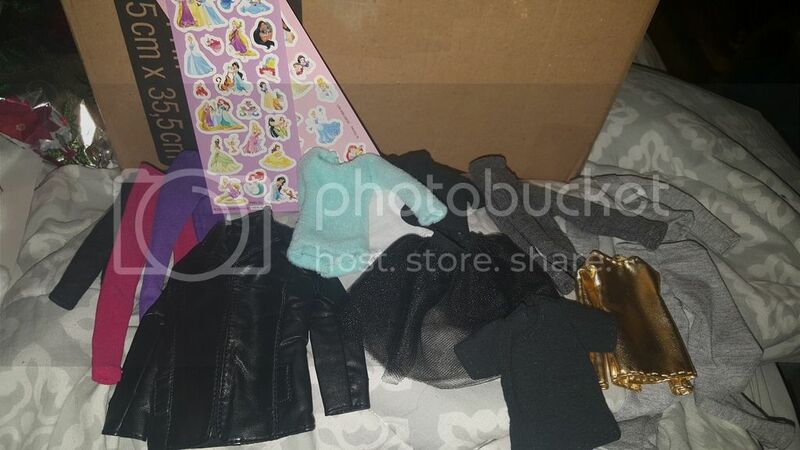 Sales / Re: Lari's Sales: Updated 4/2 Reduced Prices! --Also, I believe I've responded to everyone but please do let me know if I missed you! I have one for sale in my thread for $10..I'm not great at spotting wonk eyes..but. she doesn't look very wonky to me. 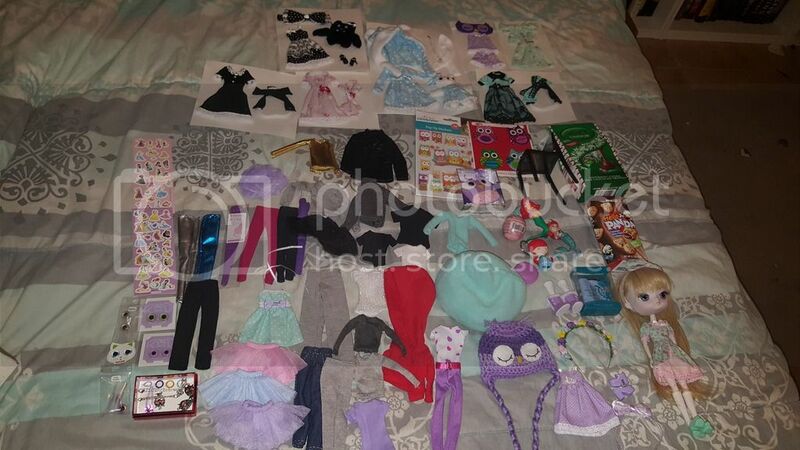 Sales / Re: Lari's Sales: Updated 3/18 Lots of dolls! Hmm =/ I don't see one from you.